Quinoa (pronounced Keen-wah) is an ancient food that has become quite popular in North America. Though often referred to as a grain, this powerful seed offers a nutty tasting solution to high glycemic, high starch side dishes like rice and potatoes. Perfect for vegetarians, vegans and diabetics, Quinoa offers a balanced amino acid (protein) profile, a low rating of just 35 on the glycemic index, and it’s gluten free! These extremely nutritious seeds are used to prepare a wide range of soups and bread, while the fruit of the plant can be used to make a medicinal concoction known to heal sores and bruises. When prepared, Quinoa is fluffy, has a nutty taste, and nice bit of chew; it’s often confused with Couscous because of its size and texture. Quinoa flour can be found in many health food stores, and can be used to make pasta and baked goods such as muffins, cookies, crackers and bread, as well as pancakes and waffles. When you buy your Quinoa, store the seeds in an air-tight glass jar in the refrigerator. 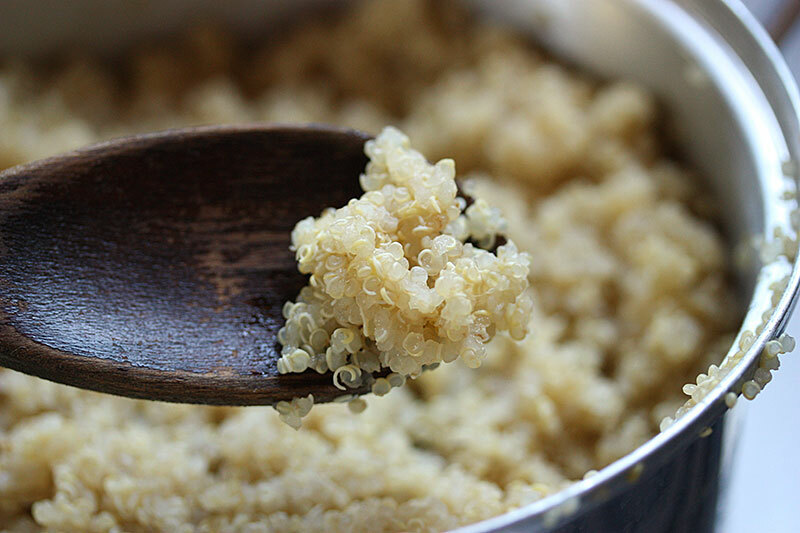 Due to the relatively high oil content, Quinoa has a tendency to go rancid quickly when exposed to heat. Stored properly, your Quinoa seeds are good to use up to 12 months. Try this recipe for Power Quinoa Salad, a tasty and high nutrition side dish or light lunch. Quinoa is a powerhouse of nutrition, low in the glycemic index and gluten free, making it a perfect grain replacement for diabetics, vegans/vegetarians, and those looking to drop a few pounds. 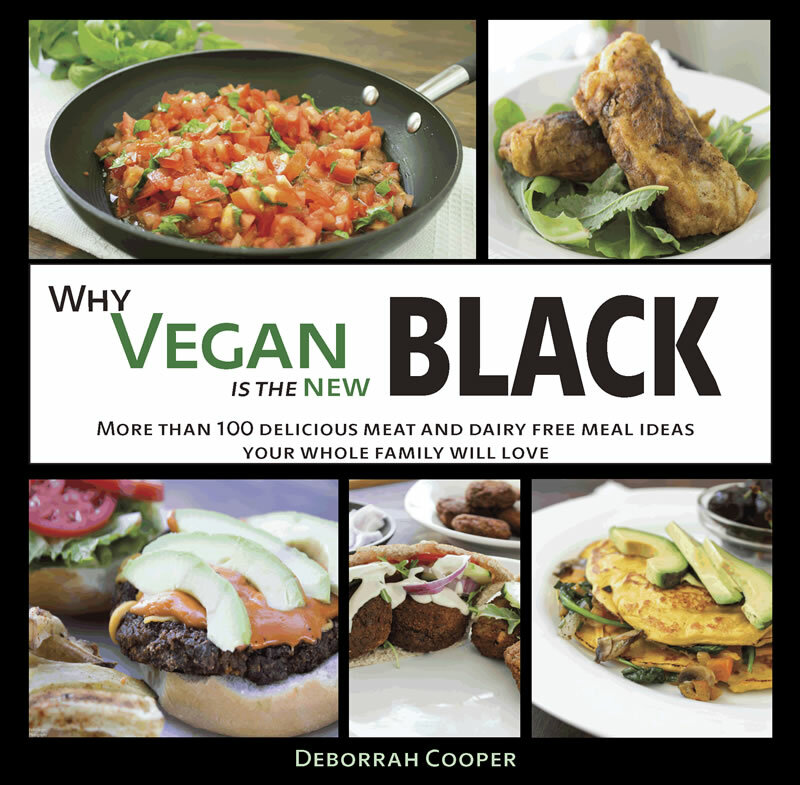 Try this recipe for a delicious vegan Quinoa salad, or the video recipe for Quinoa steaks. Heat a 8-10" non-stick skillet over medium heat. Add rinsed Quinoa and chopped garlic, and stir constantly to toast for about 1 minute. Pour in the vegetable broth and bring to a boil. Reduce heat to low, cover, and let simmer until the Quinoa is tender but not mushy (about 12-15 minutes). Remove cooked Quinoa from pan onto a baking sheet and distribute evenly. Place pan in refrigerator to cool. While Quinoa is cooling, wash and chop your vegetables. Add them to a large mixing bowl. Prepare the dressing in a small bowl by mixing together the lemon juice, apple cider vinegar, and cinnamon. Pour the dressing into the mixing bowl containing the chopped vegetables, and stir well. Let sit about 20-30 minutes to marinate the vegetables, stirring a few times to redistribute the viniagrette. Add the cooled Quinoa to the marinated vegetables and stir well to combine. Taste and add sea salt and fresh cracked pepper as desired.